Improve your surfing today with virtual coaching through video analysis where you can get Dean's professional evaluation of your surfing no matter where you live. 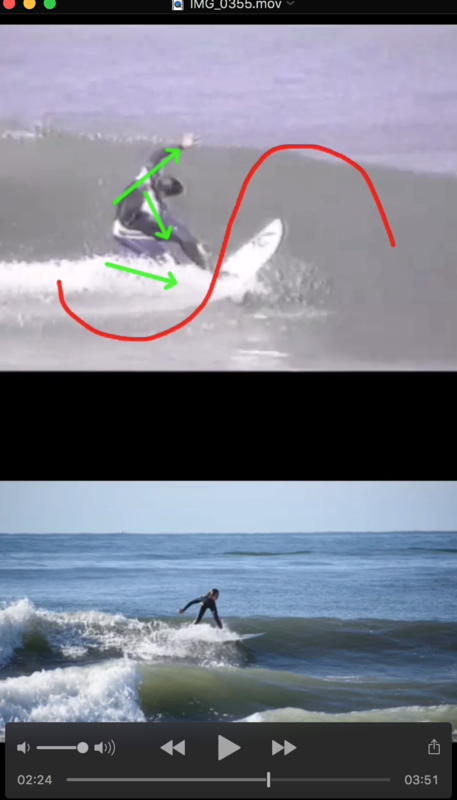 Video analysis is the best way for Dean to show you how to improve your surfing if you can't make it to the beach. Dean will create an analysis of your surfing and will provide you with a detailed guide on how to improve your surfing approach through proper body machanics, form and techniques you can use to become a better surfer. downloadable analysis for you to have available to view anytime, anywhere. This evaluation session focuses on 2-3 key elements / fundamentals to improve and work on. Dean will send you a downloadable link to your evaluation so you can view it anytime and set up a real time session to review by phone.